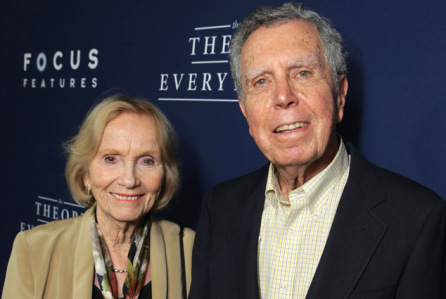 “`Jeffrey Hayden directed early live television with stars, including James Dean; and worked with his wife, Eva Marie Saint, on screen and stage. His work was prolific during Television’s Golden Age. “`Hayden began his long career directing the Philco Television Playhouse with stars, such as Walter Matthau and Paul Newman. After filming the movie, The Vintage, with Pier Angeli and Mel Ferrer, he turned to the small screen for the rest of his career. “`His credits include The Donna Reed Show, Leave It to Beaver, Burke’s Law, Lassie, Route 66, 77 Sunset Strip, The Andy Griffith Show, Peyton Place, Mannix, Batman, That Girl, The Courtship of Eddie’s Father, Magnum P.I., Falcon Crest, Quincy M.E., Ironside, The Virginian, Love American Style, Alias Smith and Jones, Knight Rider, The Incredible Hulk, and In the Heat of the Night. Hayden was also the co-producer of the daytime soap opera, Santa Barbara. He later produced and directed Primary Colors: The Story of Corita, and Children in America’s Schools with Bill Moyers. “`On stage, Jeffrey Hayden directed Eva Marie Saint (right) in Summer and Smoke, Desire Under the Elms, and The Country Girl. Other productions include The Sunshine Boys, Fences, and Sunset Baby. He and Eva Marie, who married in 1951, they also starred together in On the Divide and Love Letters in theaters, nationwide. This entry was posted on Wednesday, January 4th, 2017 at 12:04 am	and is filed under Blog by Manny Pacheco. You can follow any comments to this post through the RSS 2.0 feed. Responses are currently closed, but you can trackback from your own site.